It is the team here at Hattingley who produce an outstanding wine. From the grapes nurtured on Hampshire chalk, to the delicious sparkling wine made unique by the elegant touch of oak. The team have immense pride in their work and we are delighted that this has been recognised by so many international and national awards. We use the traditional method for making our wines. A key element of our style is the subtle use of oak barrels to ferment a small proportion of the wines each year as well as ageing on lees in stainless steel tanks. This softens the wines before they go into bottles for the second fermentation. With climate change and technological developments the English wine industry is on the brink of something very special. 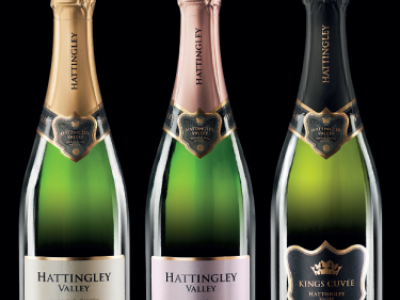 Equipped with the latest technology and a talented team Hattingley Valley Wines are on a mission to make a world beating sparkling English Wine. Located in the heart of in the heart of Hampshire. 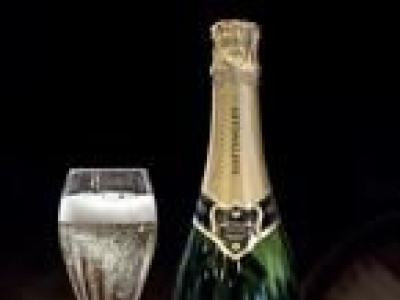 Premium sparkling wines, born & bred in the heart of Hampshire. Emma Rice makes both our own and contract sparkling wines and boasts an impressive CV in winemaking. She was an early graduate of Plumpton College’s BSc in Viticulture and Oenology whilst working for Nyetimber Vineyard in Sussex and went on to become an oenologist for Cuvaison Estate Wines in the Napa Valley, California. This was followed by a cool climate vintage in Tasmania before returning to establish a wine analysis laboratory and winemaking consultancy for the burgeoning domestic wine industry. Widely regarded as one of the UK winemakers to keep an eye on, Emma’s role as our winemaker at Hattingley Valley has us all understandably excited. Hattingley Valley Vineyard, between Medstead and Wield, was planted in the spring of 2008 by specialist planter Ernst Weis from Germany using the very latest laser-guided planting technology, which even managed to cope with a bomb crater left by Ernst’s countrymen over 60 years ago! Simon’s passion for wine first developed during his ‘gap year’ in France spent filling supermarket shelves with wines from Champagne to Algeria. University gave him an initiation into the world of vintages, ‘en primeur’ and ‘noses’. Later in life, his interest was fuelled by attempts to create an English “bubbly” industry. After a few years of watching its progress from the sidelines, he just had to give it a go. Simon is also partner in a City law firm, chairman of the Governors of Charterhouse School and trustee of MOVE-Europe which is dedicated to increasing the mobility of critically disabled youngsters. Driven by a lifelong desire to produce the best ever English wine, Jim left the ‘sunshine state’ of California for the UK. After seeing the opportunities for cool weather viticulture and being inspired by the Hattingley Valley vision, Jim joined the team in January 2010. With 15 years in the industry, his viticultural knowledge and expertise in trellis design and canopy management has been gained in the Napa Valley, Southern France as well as the UK. He is predicting great things from his fruit and judging from the care and attention he gives to his vines, the rest of the team is equally optimistic. Following a work placement at Hattingley Valley in 2012, Romain has returned after completing his Masters in Oenology at the University of Toulouse, France. Romain’s extensive knowledge of viticulture and oenology gives him a well-rounded understanding of both winemaking and growing processes. For the past 11 years he has studied and worked in several French regions and in others around the world including South Africa and China. Romain’s remit is to manage Hattingley Valley and partner vineyards to achieve the highest quality grapes and to provide technical support and advice to our supplier vineyards. Simon Checketts is the lynch pin between Hattingley Valley Wines and the other aspects of the Kings Farm businesses. Simon’s background is in sales and marketing but he has also studied viticulture at Plumpton and has a BSc in Engineering and Marketing. Remarkably versatile, Simon is the indispensable ‘multipurpose toolkit’ for both Hattingley Valley and Kings Farm. Josh is our Marketing and Events Co-ordinator. 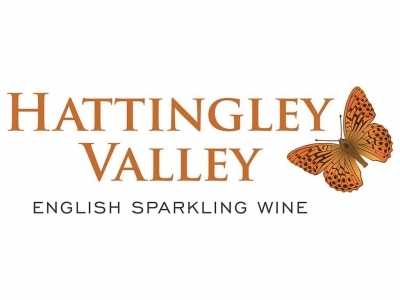 His remit is to build on the recent positive press coverage Hattingley Valley has received as well as develop the tours, entertainment and events side of the business. A recent Marketing Management graduate from Oxford Brookes University, Josh brings a diverse set of communication skills to the role and is well-equipped to lend a fresh dimension to the on-going brand and design development aspects of the entire company. Jacob is our associate winemaker, having recently graduated from Plumpton’s wine production course. After 9 years in investment banking his dramatic career change was driven by a growing passion to produce world class wines in England and is determined to put Hattingley Valley at the very centre of the industry. After a short spell working in a wine focused laboratory Jacob is now responsible for the day to day operations in the winery, and is involved in many other areas of our growing business. Upon completion of his Foundation Degree at Plumpton College in June 2013 studying Wine Production, which included a work placement in the Catalan region of South West France, Jamie has joined Hattingley Valley as a Vineyard Assistant. Jamie’s remit is to support both Romain and Jim in the vineyards, performing day to day viticultural operations to achieve the highest quality grapes. He has also gained his Intermediate W.S.E.T. Award. The building houses some of the very best equipment from continental Europe. The Coquard PAI Press from Epernay with a capacity of up to 4,000 kg, is widely recognised as one of the ultimate in sparkling wine presses. A smaller Magnum Oenoconcept press designed for sparkling/champagne production by Oenoconcept is ideal for smaller consignments of grapes from 1,000 kg or 1,800 kg if de-stemmed. Our custom-made individually thermo-regulated tanks of varying capacities (1,000-6,000 litres) and in-line nitrogen and carbon-dioxide for oxygen management enable us to ferment each batch perfectly. Besides providing the ideal space for making Hattingley Valley’s own sparkling wine, we offer contract winemaking services to growers across the South of England. Our experienced team turns contract grapes into the best possible sparkling, still white, red and rosé wines. We also undertake the usual functions of a winery: fermentation in tank or barrel, ageing, malolactic fermentation, blending, riddling, disgorging, bottling and labelling. Furthermore advice is available for planting, new site development, growing issues and grape analysis. On-site there are dedicated areas for storage, administration, retail and stylish entertainment. 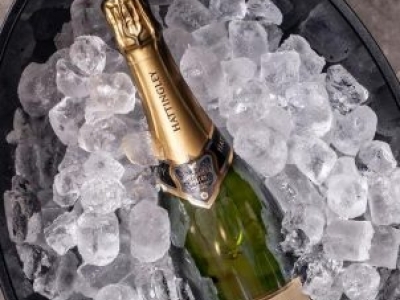 In England and Wales there are approximately 400 vineyards of which just 10% produce grapes destined for “bubbly”. 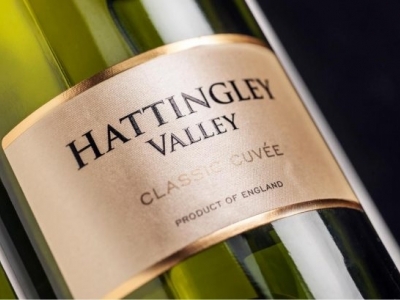 Although very small by world standards, Hattingley Valley is currently amongst the top 20 largest UK wine growers. Situated on chalky bedrock similar to the terroir in the Champagne region, this 7.3 hectare south-facing site supports 22,000 vines of the three principal champagne varieties of Chardonnay, Pinot Meunier and Pinot Noir. The following year a nursery was established with 3,000 vines of Chenin Blanc and Pinot Gris enabling us to experiment with different grape varieties and root stock; in this way we can discover first-hand what works best for Hattingley Valley. Most recently in May 2011, another 10,500 vines were planted with equal quantities of Chardonnay, Pinot Noir, Pinot Meunier and Bacchus.